The growing concern from Advertisers about the ROAS Return On Advertising Spent is making them actually head towards more performance-based Advertising. The chance today is to compete in the Metasearch arena (Google, Tripadvisor, Trivago to name a few) and reach millions of targeted users per month. 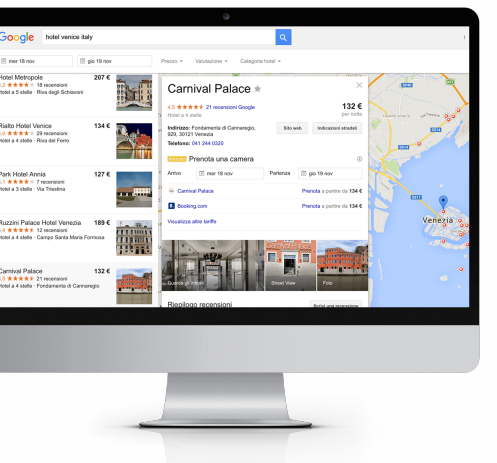 Ads Hotel is the leading platform to connect hotels to meta-search portals and let them compete in the same internet ecosystem of OTAs. This self-catering platform, with its unique core features, enables Hotels not only to connect and advertise but also to optimize their campaigns to improve revenue and generate new direct bookings.